This adds a new user interface for web content on the new Shared Content tab, greatly improves memory use and browsing speed, stability, subtitle support and customization, and more! We tested these on different hard drives with different rotation speeds, and with files from 600MB up to 22GB each, and using 1-100 threads to see what effect that had on the results. We experienced different results but on average for our use case, we found that the two FileChannel methods were the best, and went with the second option since the Path input is the newer syntax in Java. The DataInputStream and RandomAccessFile had significantly slow outliers that had been causing problems on some hard drives. Also note that we were doing a specific type of hashing that is used by OpenSubtitles, which involves reading the beginning and end of the file, so other uses of the reads may give different results. This release adds new features to dynamically sort and add your media, most notably there are new “TV Shows” and “Movies” folders that are populated automatically with content from your shared folders. We have added support for LG Blu-ray players and Naim Mu-So wireless audio systems, improved support for Panasonic and Samsung TVs and the VLC app, fixed videos being transcoded too often, fixed a bunch of bugs, and more! 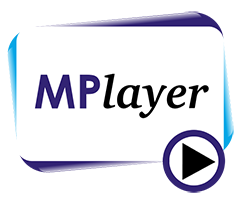 This release adds and improves support for Yamaha, Miracast and Panasonic devices, 3D and 2D subtitles, improves transcoding quality and speed, squashes bugs, and more! This release adds actions when media has been fully played and improves accuracy of timers on the Status tab. This release adds support for AnyCast, Miracast M806 and more Sony Bravia TVs, improves speed, file support, renderer support, bugfixes and more!